Family Physician to Replace Senator McCain from AZ? Patients can recognize quality. That’s what really counts. Why do we need a big study on what makes a good physician? The answer is clear to most of us out in the day to day physician world. A good physician is one who connects with his patients and really cares about them. He makes the patients feel at ease and willing to divulge their most intimate details, since they realize that any detail might be relevant. A good primary care physician has taken the time to learn the family dynamics that impact the psychological make-up of the patient. He attends the funerals of select patients as he knows this will help the grieving process of the family, and they are also his patients. A good physician has had good training and keeps up with the latest diagnostic and therapeutic regimens. He has developed a good referral network, so he knows his patients will get the same concentrated attention that he gives. He would never refer to someone he would not entrust with his own family member. A good physician can recognize the qualities in other good physicians. We do not need tests to measure good physicians. We need continuing education so physicians and keep up and learn what to measure in our patients to detect and monitor illnesses. If anything has decreased the quality of our care, it has been the theft of our time by government and hospital corporations like the Joint Commission that has added the extra burdens of paperwork and form-filling to our duties as physicians. Or the participation in HMOs that so underpay, we need to have 5 instead of 30 minute visits. Patients know who the good physicians are and need to be free to choose them. Insurance companies herd patients into provider networks, but many patients see the difference. Recently we have had patients return to us after 10 years, lamenting their experiences with doctors they did not feel we’re paying attention. They are willing to pay cash to see us as they understand value. I guess that might indicate that my practice has good physicians in it. I am a grandfathered internist, so I have never re-certified and do not intend to participate in MOC. My husband did 3 years of general surgery and 3 years of family medicine residency. He is an excellent physician with a wealth of experience. He refused to participate in the re-certification testing scheme, as it never made sense to him, especially since I was exempt. But after 25 years the credentialing secretary caught up with him and he was dismissed from the hospital staff. This broke the hearts of many of his long-term patients, but the bureaucrats didn’t care about how his patients felt. Their goal was to proudly state that all their physicians are “board certified,” as if the public really cared. The “public” simply wants to know that their physician knows how to fix what ails them and will be by their side when they need him. Studies have shown that patients never ask if their doctor participates in MOC. They really do not care one iota. Physicians should not allow themselves to be compromised or worn down from trying to meet unhealthy expectations of others. Unhealthy expectations include those that require the MD/DO to act against their conscience and sense of moral purpose. Obamacare continues to wreak havoc. The decision by the Supreme Court to hear the King v. Burwell case in March creates a glimmer of hope. There is a real chance the Court will invalidate subsidies issued without statutory authority through federal exchanges. This would pull the rug out from under Obamacare, as some 90% of enrollees could lose their premium support. There have been many calls for Congress to prepare legislation to address this potential crisis, and to have it ready to go in June, when the Court decision is due. We see this as a rare opportunity for a coalition of freedom-oriented physician groups to make our priorities known to Congress. 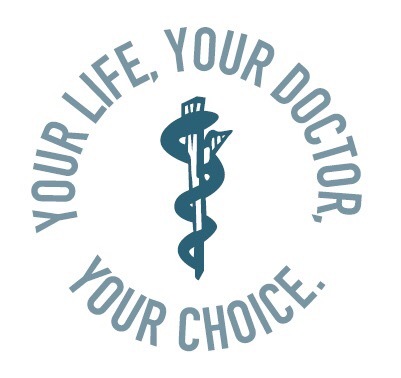 You are cordially invited to attend a meeting of the National Physician Coalition for Freedom in Medicine to be held in Washington, DC on March 25 and 26th. The limited goal of this meeting is to discuss, finalize and publicize a simple one-page plan to propose to Congress. We will focus on legislative items that will neutralize the worse aspects of Obamacare, and thus increase patient and physician freedom. All practicing physicians who are concerned about the direction health care has taken are invited to participate. AAPS has secured a meeting room and has preferred rates at the Cambria Hotel and Suites right in the heart of Washington, DC. We have chosen March 25 and 26, so ask that you save the dates, secure a room, and invite your colleagues. More details to follow. Here is the link for hotel reservations. Ignore the error message and put in the dates to secure the preferred rate of $229 for this landmark event. Space will be limited, so please register today by clicking here to fill out a short RSVP form. The form will also collect a $25.00 fee from each doctor (spouses and guests are free) to help cover the costs of this event. Good news! Even the ACA and the congressmen have listened and destroyed the PQRS-MOC incentive-if we can only believe the ABIM and they probably are telling the truth on this one. The continued decline of ABMS and ABIM power base is evident!